Author’s Note: This was a rare non-film post from me, but one that I’m glad I did. Looking back, I can still see a lot of these memories as if they just happened recently. And, 6 years after my initial story, Evan’s music still has the same effect on me. I listened to my playlist during my commute recently, and things were good. I was 18 years old, only a few short months into my freshman year of college. I, like most freshmen, didn’t completely know my way around campus and was hardly the center of any social circles. College could be a scary place for those who were new to the scene, and I was no exception. Still, I had become comfortable with a few hall-mates (some of whom have become my best and closest friends). By this point, one of them had turned me on to a band called O.A.R. In 2002, they were not on the major radio stations and were big with the college scene. As it happened, they hailed from Rockville, MD, which is a place that is also close to my heart. Needless to say, I was hooked. And one of the best qualities of music is that it has the power to bring people together and strengthen their bonds. So, when one of my new friends noticed O.A.R. would be playing a show in Washington, D.C., he suggested that a group of us purchase tickets and make the trip to see them live. I know for a lot of people, the first instinct after being shoved something outside of a concert is to attempt to set a world’s record for how far you can throw it. Still, something about this CD made me take it home and give it a spin. And I was so glad I did. Headed by singer/guitarist Evan Bliss, there was just something about TLL’s sound that I hadn’t experienced before. Perhaps it was a certain flavor or a feeling that somehow, everything was going to be OK (Even if it was a quirky song about ditching a significant other.) There were songs to listen to while sitting back & enjoying a drink with friends. There were songs to make you pause and reflect on life. Bottom line: the music was real and the talent and effort were evident. Before you knew it, this CD had been passed to several of my friends up and down the hall. It began to work its way onto my weekly program down at the campus radio station, and I even operated a Facebook group for TLL fans on my campus. Flash forward a year and, with it, a new album from The Low Life entitled Thixotropic. By this point, I had found my way onto the band’s official Internet message board. When I learned they were playing a short drive away at Gettysburg College in Pennsylvania, I geeked out a bit. Through the kindness of some fellow message board users, one of my roommates and I were able to get in to the show. What followed was a show of epic proportions, which will always be remembered (by me, anyway) as the first & only time I was privileged enough to see The Low Life perform live. I already enjoyed TLL’s recorded tracks immensely; their live show blew me away. My roommate turned to me at one point and said, “I had no idea they were a jam band.” And, sure enough, every song they played was longer, funkier & infinitely more awesome in person. As time passed more releases arrived, including a live album or two and Daisy Cutter in 2005. Sadly, after this, I lost track of the band. Graduation rolled around in 2006 and, before you knew it, I was caught up in other things. It wasn’t until later that I learned TLL had gone their separate ways and Evan was still cranking out quality tunes (Pour-Soi En Soi in 2006, Evan Bliss & The Welchers in 2007, and ShhhPOW! in 2012). To say that I went on a musical shopping spree is a bit of an understatement. It was through Twitter that I began to learn more about Evan as a person in addition to “Evan the performer.” I was beyond excited when I learned that Evan had joined Twitter, where I am “fairly active” (to put it mildly). Reading up on his profile a bit, I was pleasantly surprised to see that he was a big Washington Redskins fan, an active Redskins blogger, and a frequent contributor to The Washington Post. I followed his updates on Twitter, and at one point casually sent him a Tweet telling him what a fan I was of his work and how much I appreciated his efforts over the years. Imagine my surprise when I noticed that Evan had responded & followed my account in return. It was a simple gesture on his part, but it meant the world to me. I only wish we had gotten a chance to exchange thoughts and ideas, especially as football season rolled around. I may not be a Redskins fan, but a part of me will be pulling for them now. I wish that I could talk more about Evan’s advocacy, but that’s all I know. There are other stories to be told and shared by personal friends, family members/loved ones and people who have the right to tell those kinds of stories. It’s enough for me to know that he was out there trying to make the world a better place. Unfortunately, the world has lost one more person out there fighting the good fight. On Friday, August 17th, Evan was taken by a sudden pulmonary embolism, leaving behind his loving wife, his family, his friends and his loyal fans. 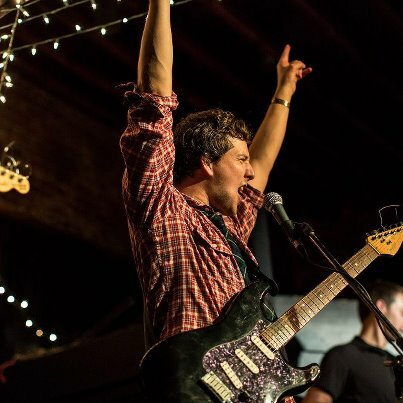 According to Jason, his best friend and band mate, Evan had recorded several demos in Nicaragua and the band was eager to get back into the studio to crank out some new tunes. And now, we’ll never get to see (or hear) what could have been. He will be dearly missed. Death is never easy to deal with and it is especially difficult to handle when it arrives suddenly, as it did with Evan. This shouldn’t have been Evan’s time to go, because he had a lot more good left in him. But it was. The only thing I can stress is that you cherish the times you have with your loved ones, because you never know when your time is going to run out. I know we hear this a lot, but do you know why? Because it’s the truth. As a fan, I can’t offer up much except this tribute…which is not nearly enough. If this post can attract a few new Evan Bliss fans or inspire you to get out there and make a difference by doing what you love…then I’ll feel that I was able to contribute to his memory in some way. It’s the least I can do after everything Evan did for me, whether he realized it or not. So, Evan, thank you for the music and for all of the memories over the years. Your music was there for me whenever I needed it, and it helped me get through a lot of tough times. And, although we never had a chance to meet in person, I am happy to call you my friend. Because that is what friendship is all about. 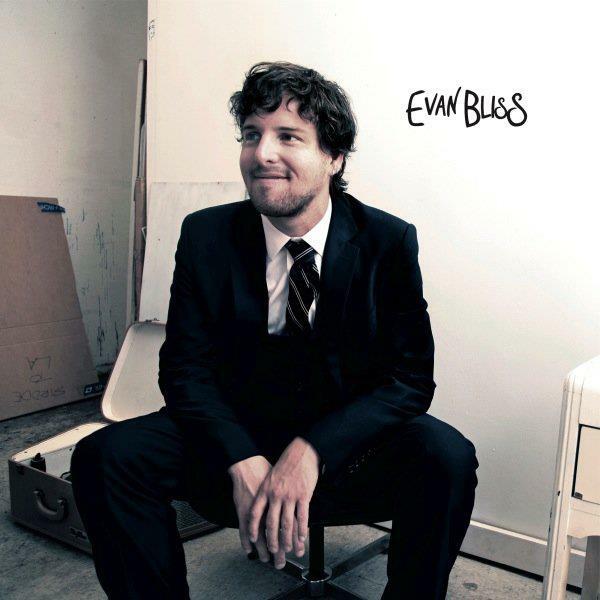 Evan Bliss’s music can be found on Facebook, Twitter, MySpace, YouTube, iTunes, eMusic and Spotify. Check it out…you’ll be glad you did.